MTB cranks which fit well with our Freeride, All Mountain and Enduro frames. 2-pcs construction cranks with an integrated 24mm axle make them trustworthy and trouble-free in every condition. The 10-splines design combined with 2-bolt left arm guarantees a really strong connection. 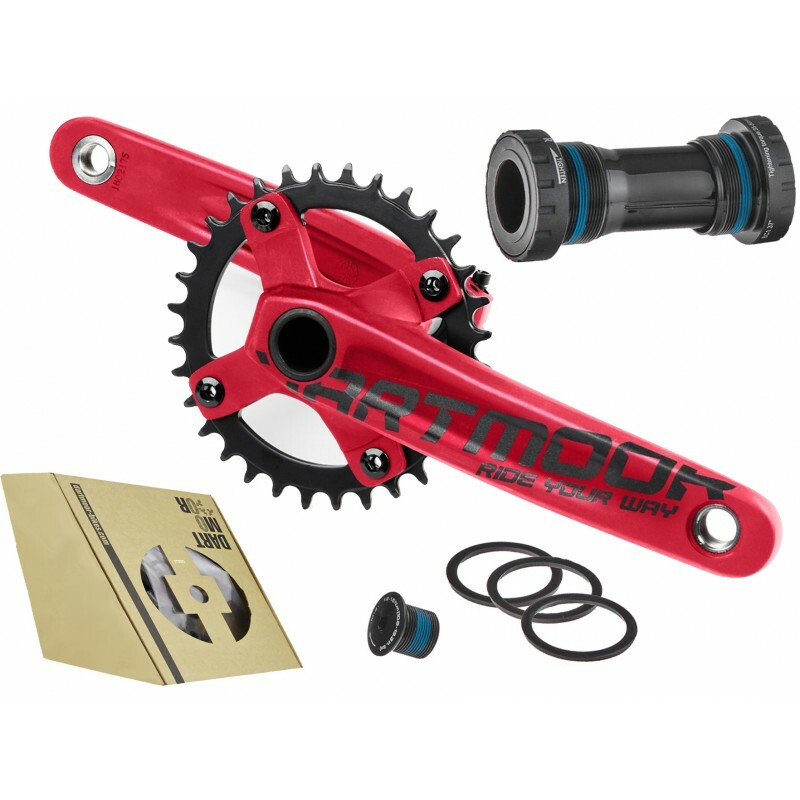 They come with a dedicated 36T aluminium chainring and an external bottom bracket fully compatible with the Shimano standard and frames with 68mm or 73mm BB shells. If you look for the entry level MTB cranks that will not ruin your budget and will look really cool in your bike – Rock is for you! Arms length: 175mm. Spindle: 24mm. Splines: 10. Spindle bolt: M18xP1.0.Weight: 915g (without external bearings).